Senior Vision and Dental Insurance can be combined into one plan plan with a single payment. UnitedHealthOne offers this policy to be purchased on its own or the Senior Vision and Dental Insurance can be added to a Health Insurance policy if the senior is under the age of 65 or to a Medicare Plan if over the age of 65. The dental insurance has a price range of $17.00-$38.00 per a member, the vision runs about $7.00-$9.00 per an applicant. More info on Vision and Dental Insurance for Seniors. View Vision and Dental Insurance Benefits / Check Rates / Apply Now! Having vision and dental insurance for seniors is one of the most important financial and health decisions you can make. If you are still working and lucky enough to have benefits offered through your employer, be sure to add both dental insurance and vision insurance to your benefit package if the premium is well priced. However, if you are retired then you will need to purchase dental and vision coverage. As one ages teeth problems occur more often. Dental insurance is a must for every family. It is incredibly important for seniors to see the dentist twice a year for preventative treatment, such as cleanings, x-rays, and fillings when necessary. Periodontal infections are more common in seniors. In the United States about 15% of 65-74 year olds have periodontal diseases. Many dental plans cover office visits 100% hundred percent, meaning no money comes out of your pocket. When x-rays are taken, be prepared to pay for part of that procedure, unless you have quality coverage such as the plans offered in this site. Dental insurance will usually cover a large amount of the cost of basic dental work and fillings. With dental insurance, fillings are inexpensive as the insurance company usually covers 80% of the cost. Statistics have shown that families that have dental insurance have better oral health. Sadly, many people have to spend thousands of dollars out of pocket for serious and expensive dental work. Regular visits to the dentist can prevent this from happening to you. If you or someone in your family needs glasses, contacts, or needs other forms of visual assistance, be sure to add a vision plan to your senior benefits package. Vision insurance typically will cover the office visit for a $10 copay. Glasses, especially bi-focals, are extremely costly. Vision insurance will partially cover that expense at a $25 copay, saving you hundreds of dollars. Contact lenses are not as expensive as glasses, but need to be replaced more often. Many vision insurance plans will cover the cost of contact lenses for the same $25 copay. It depends on the type of lens you need, but often you will pay little money out of your pocket for contact lenses when you have vision insurance. 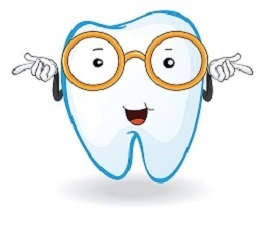 Neither vision nor dental insurance are very costly, and they both can pay for themselves in a short time. If you have been told that you may need glasses, it would be a smart move to get vision insurance. Both of these will make your life much easier, and they will save you much money over the years. We recommend buying vision and dental insurance in one package to maximize the value. Call us directly for help understanding your options.